The Web has come a long way since it’s inception, and its design has changed drastically along the way. Weebly is highlighting just how much change Web design has had over the past ten years by taking a look at its own site. 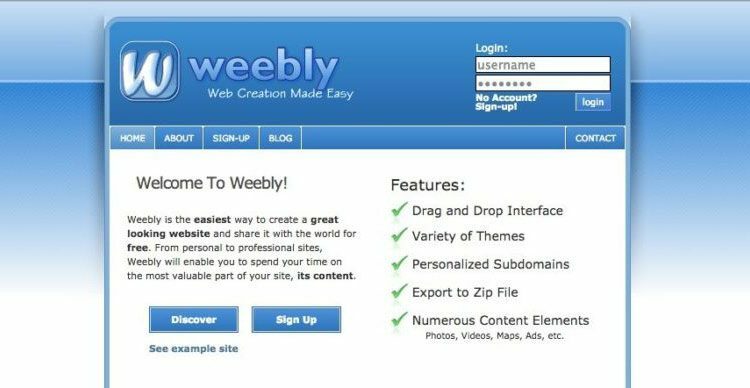 Weebly says that over 250 million users now visit its homepage every month, but that wasn’t the case when it launched in 2006. Back then, Weebly tells The Next Web “MySpace was still a thing, and Weebly’s HQ was a Penn State dorm room.” No real desire for robust Web design at that point.